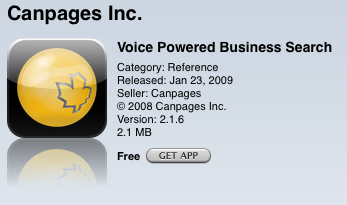 For jailbroken iPhone users out there, installing 3rd party applications is easily done through Cydia. 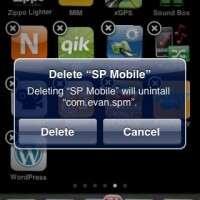 However, deleting Cydia apps can be tedious process since you have to wait for Cydia to load, navigate to Manage, go to Packages, select your app, click Modify, then hit Remove. Phew–that took a while! 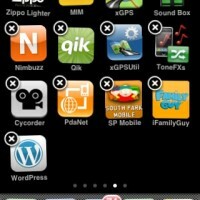 Yesterday a new app was released in Cydia, called CyDelete. Just what does CyDelete do? 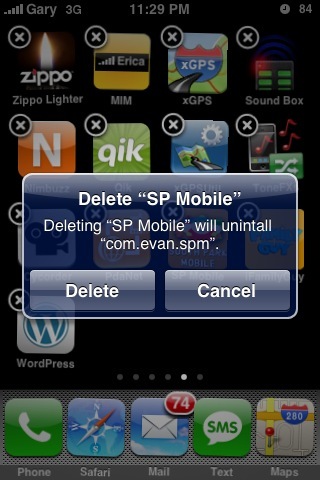 Well, once installed it will enable you to delete 3rd party apps from Cydia, just like you do with App Store apps! 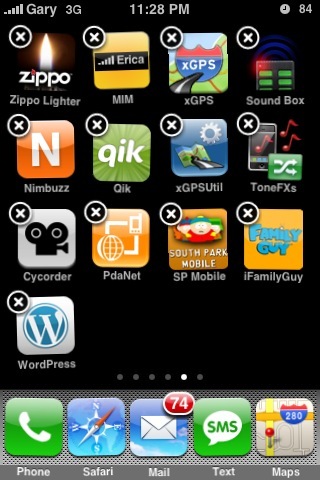 Even though official iPhone apps will have the jiggly “x”, they cannot be deleted by CyDelete (nor can Cydia!). All you have to do is hold down your finger on an icon until your icons start “jiggling”, then click on the “x” to delete ANY Cydia app. That’s it–so EASY! CyDelete is a simple, yet effective app that will save you the troublesome chore of navigating through Cydia menus to delete apps. Version 1.1.0 has been released and it’s worked great so far. If you’re experiencing bugs, feel free to click here to report them. What are you waiting for? Go download CyDelete now! It’s available in the BigBoss repo.